Four years ago today I was on my way to my first American School Counselor Association Conference in Seattle, Washington. I had no idea what to expect and I definitely did not realize how this single experience would significantly change my life. I went on to attend the ASCA conference each year since my first time -#ASCA12 in Minneapolis, Minnesota, #ASCA13 in Philadelphia, Pennsylvania, and #ASCA14 in Orlando, Florida - a total of four times so far. 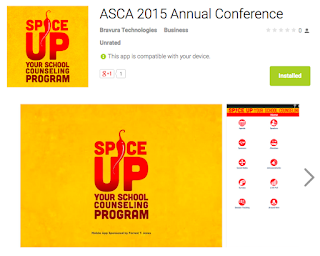 I have so many great memories of from past ASCA Conferences. This year, I will not be traveling to the ASCA Conference because we are awaiting the birth of our first child. Although I am sad I will not be attending and being around so many amazing school counselors in person, I feel fortunate that we have such a powerful school counseling presence online, via Twitter and other social media sites, that we can connect virtually, even if we are not able to attend the conference. Below I share some tips for attending your first ASCA Conference in person. 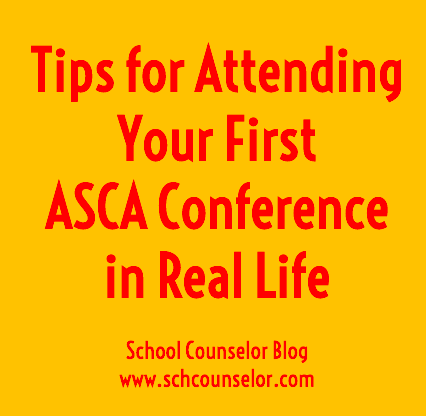 I will share another post with tips for following the ASCA Conference online or the first time from home! Pack for conference time and play time! If you are heading to Phoenix I am sure you checked the weather... it is going to be SPICY there... I am talking over 100 degrees each day. Consider the weather when you are choosing outfits that you might wear. I know that regardless of how warm it is outside I am always freezing on the plane. I dress in layers so that when I arrive to my destination I can be dressed for the temperature. I honestly don't know how you prepare for heat of that level, but I am guessing your best bet would be BREATHABLE fabrics that are lightweight and comfy. Bring a mixture of business casual type clothing and whatever you might want to wear if you are planning on exploring the area or going out to dinner. If you are presenting, pack some dressier/professional items for the days you are presenting. One of my favorite bonuses of ASCA Conferences is getting to explore a new city. I looooooved Pike Place Market in Seattle and I went to the original Starbucks! You can plan out what restaurants you might want to attend (this foodie is all about trying new things! 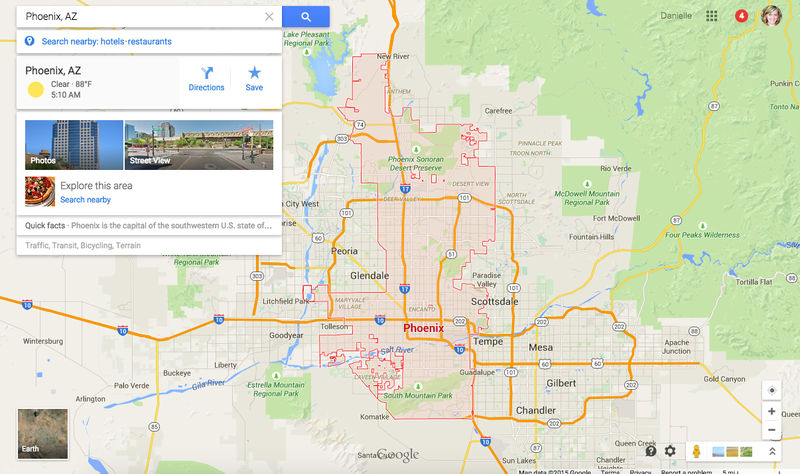 ), scope out the local night life (Jeremy Goldman is on the lookout for a Karaoke bar in Phoenix if you know of any good ones!) and any attractions you want to see. Plan on meeting and being among thousands of pumped up, excited, amazing school counselors! Bring your business cards (or make some before you go!) to hand out and make connections. 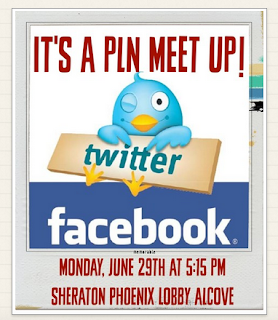 If you are on social media sites, make sure to include that information on your business card so you can connect even after the conference is over! This introvert gets really amped with meeting new people and then needs some downtime to recover... so if you are like me plan for a break after your marathon connecting sessions! I have had the most fun hanging out with new people and going to dinner with them (I know... food again!). It is fun and interesting to hear others' experiences, especially when they are from different states and work with different populations. 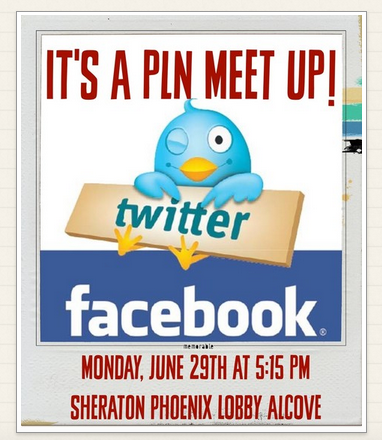 Carol of The Middle School Counselor Blog is hosting a School Counselor PLN Meet Up on Monday, June 29th at 5:15pm in the Sheraton Phoenix Downtown Lobby! Visit the link for more details and to sign up! If you are attending the ASCA Conference, the Conference App is a wealth of information! It is available for download from the Apple Store or Google Play. I recently got an android (Google) phone (GASP!) instead of upgrading to an iPhone 6. So far I have been loving it.... I digress. Within the Conference App you can create a schedule of the sessions you want to attend. It also provides all the handouts for all the sessions if you are registered for the conference. A cool feature of the conference app this year is the icon marked "around here" has listings of attractions, food, shopping, etc. I usually bring my laptop and iPad with me to the conference. Last year, I brought my MacBook Air with me to all of my sessions. It is lightweight and allows me to have multiple screens open for taking notes and tweeting! I also bring a battery backup like this Jackberry one. You go through a lot of juice on your cellphone and iPads and there usually aren't a lot of outlets. I like to be prepared with a battery backup in case I don't get to charge my technology very often. I also bring my Kindle Paperwhite to read books on the plane or during downtime. I download books from my local library on Overdrive or purchase through the Kindle store. I also bring my cellphone, of course, which is currently a LG G Stylos (Android phone). While attending the conference you will quickly learn that there is a lot of action happening on Twitter! Attendees live Tweet sessions and share links and information. Following along on Twitter is a great way to find out about resources for your school counseling program. If you don't have a Twitter account, I highly recommend you sign up for one and get familiar with Twitter before you get to the conference. Dr. Erin Mason, tech savvy counselor educator and Twitter Queen, has created a Twitter One-Tool-At-A-Time session that walks you through everything you need to know about getting started with using Twitter. I included the video below or you can view it here. For even more information about Twitter, you can check out the handout from the session Dr. Mason and I presented at #ASCA14, Professional Development in 140 Characters or Less. If you are a seasoned Twitter user, you can set up feeds on a Twitter management site such as TweetDeck or HootSuite. You can search for hashtags and create columns to follow. 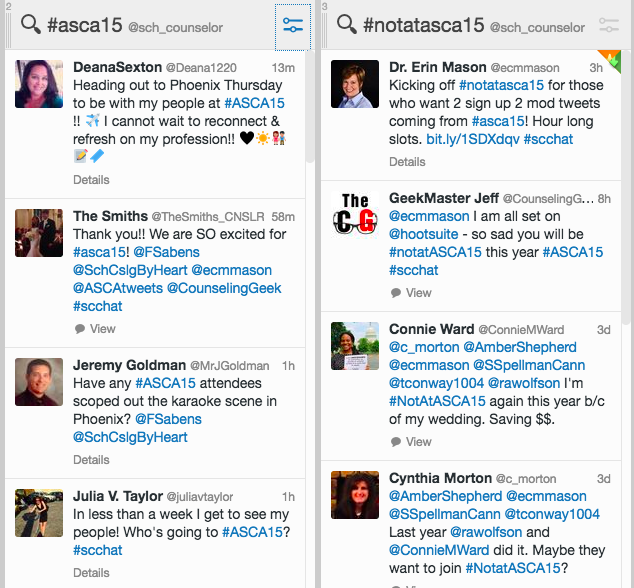 See below for an example of my feeds I set up for #ASCA15 and #notatASCA15. If you are not ready to take the Twitter leap yet, you can still follow along without an account. Check out Tagboard, a website that allows you to search for a hashtag across multiple social media sites and follow the conversations. I wrote a previous post about using Tagboard for school counseling inspiration. 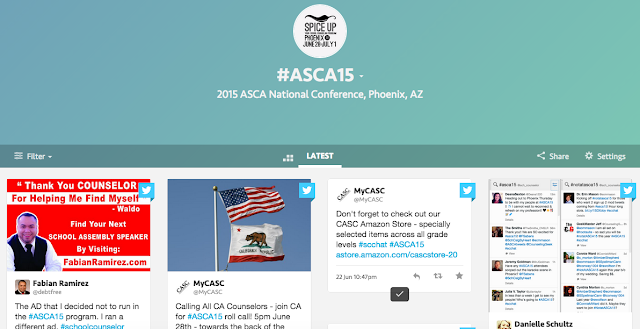 I created a Tagboard that you can view all the social media with the hashtag #ASCA15 here. I am bummed I am missing some of my favorite school counselors present at the #ASCA15 Conference. Below are some sessions that you don't want to miss! Whew! That was a lot... What are your tips first time ASCA Conference attendees? 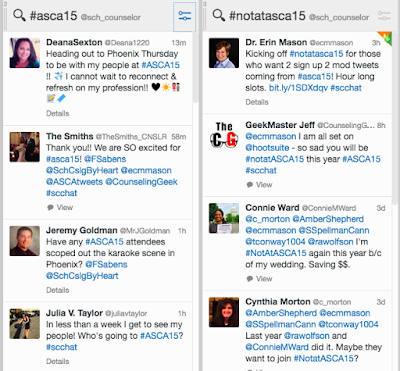 Below are some of my favorite posts about attending an ASCA Conference. Are you a blogger? 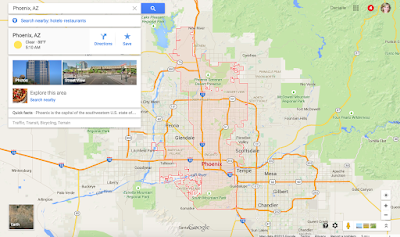 Have you written a post about attending an ASCA Conference? Provide a link to your post in the comment section!